Mel Gibson’s career resurgence was solidified at the 2017 Academy Awards on Sunday night when his film “Hacksaw Ridge” surprised with multiple victories, including an upset win for film editing. 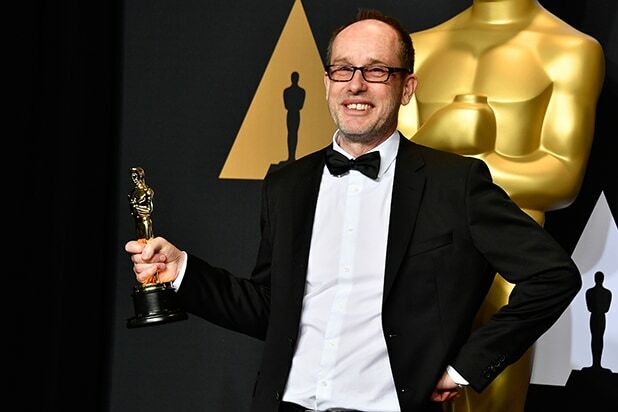 Gibson received a few shots at the ceremony for his personal troubles, but “Hacksaw Ridge” editor John Gilbert had nothing but kind words for the director. “A public persona of someone, the picture is almost never true,” Gilbert told reporters backstage at the Dolby Theatre when asked whether working with Gibson was as he expected going in. “He’s just a warm, genuine kind of guy. Really passionate and really committed director,” he said. This awards season has seen Gibson let back into Hollywood’s fold following anti-Semitic slurs he made to a police officer more than a decade ago — which became highly publicized and damaging to his professional reputation. When “Hacksaw Ridge” premiered at the Academy of Motion Pictures Arts and Sciences in Beverly Hills last October and Gibson walked down the aisle to take the stage after the film screened, the audience gave a rapturous standing ovation. Justin Timberlake opened the 2017 Academy Awards singing his Oscar-nominated hit single from "Trolls," "Can't Stop the Feeling." 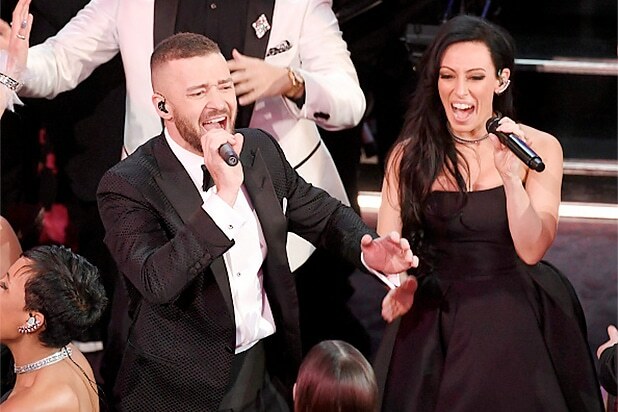 After taking the stage with backup dancers for the number, Timberlake headed into the crowd of huge movie stars to get everyone on their feet. Some actors get very into the song. A few looked like audience members at a magic show, hoping they wouldn't get called on. Sporting his most stoic face, Chan put down his pandas to clap along. Sting can't waste his energy getting too into Timberlake's number -- he's got his own performance later in the show. Urban was extremely happy Timberlake came by. Like her husband, Keith Urban, she got down to that "Trolls" song. Maybe Shannon missed rehearsal. It seems like no one told him this would be happening. Patel brought his mom Anita to the Academy Awards with him. Handy that he also got to bring her to a Justin Timberlake concert. Timberlake took a second while singing to give Washington a high-five. He seemed very excited about it. Gosling looks incredulous that Timberlake is ambushing him with a musical number after his work in "La La Land." Streep looks to be having a good time, but Berry knows if you get the chance to dance with Timberlake, you take it. Being Timberlake's wife means you've probably heard this song about 10,000 times, but Biel is still having a good time. Bardem is having an absolute blast as Timberlake comes by. Negga was clapping along with the best of them. Compared to Bardem enjoying himself more than anybody in the room, Negga's clapping along almost seems bored. Ahead of presenting later in the show, Fox looks like he doesn't want to get too drawn in to Timberlake's catchy song.